Hudley in the kitchen with a continuity of fresh fruit wisdom !! My red pants with zippers on each leg fit!! It is kale, collard greens and less fat; more garlic, dandelion tea and walks that are slowly giving me a femme fatale? I say yes! 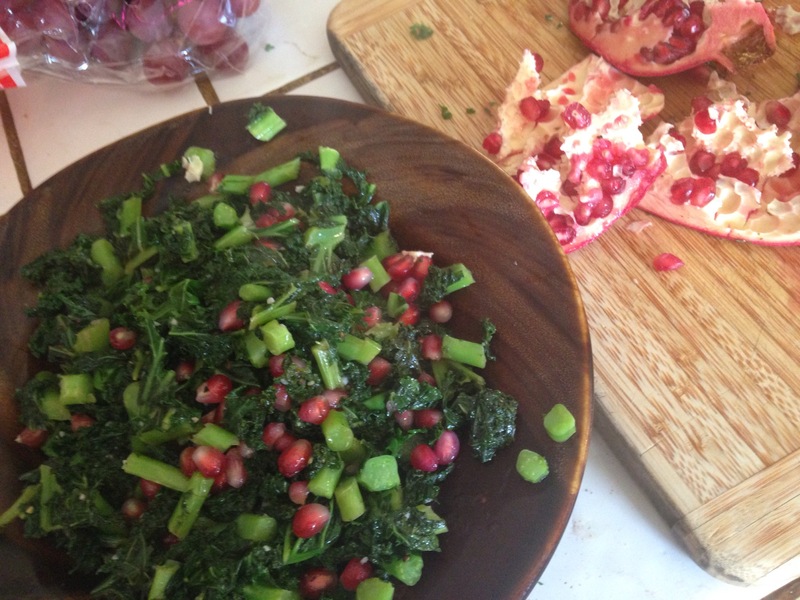 Today it is Kale with garlic, grape seed oil, salt & pepper, sweet rice vinegar, and pomegranate seeds. Smells good, tastes good and is good ! An ancient aliens meal for the brave new world! Remarkable! 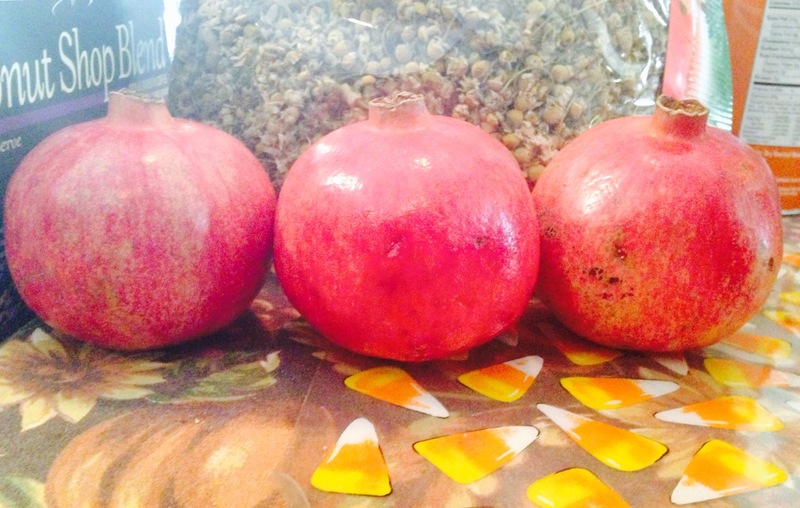 When I opened the fruit I was sprayed with a soft tangy juice of memories! Some of the memories are ancient, and some from my youth!! Today it is blended with cold air and a smell of the earth outside!! Joy rests and shares a place in my heart this morning!! SO easy and so good for you…tasty too! !